If you are looking for a fun Christmas craft, this cute felted Frosty the Snowman make a great Christmas decoration or even a fun handmade Christmas ornament to give to your neighbors. If you have someone learning to crochet or knit, the cute mini scarf is a perfect project for them as well. 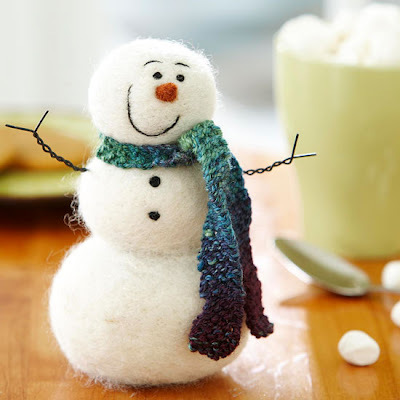 You can check out how to make a felted snowman over at Better Homes and Gardens.